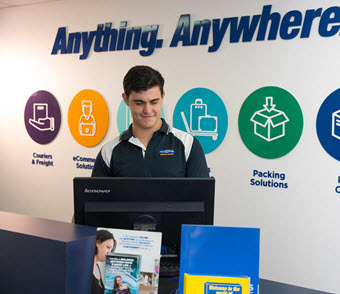 PACK & SEND Southern Highlands in New South Wales provides total courier and freight delivery services and complete packaging solutions for customers in and around Mittagong. Contact PACK & SEND Southern Highlands service centre in Mittagong now to get a quote for all your packing and shipping needs. Cannot fault the service! Edwina and her team are incredibly competent and the customer service is exceptional. Had a parcel despatched from Adelaide 5th July. Told 5/6 days, 5 days later, still at Adelaide depot, awaiting packaging(?) Arrived 21st July Apparently it is TNT transport who are so slow in delivering. Nothing to do with MITTAGONG Pack and Send store.... Lady there very helpful in trying to locate it for me.No reflection on their store..
Edwina was so amazingly helpful. Having left my laptop in Bowral ( I live in Sydney) she drove out to Bowral to get it, wrapped it so securely, and I had it back in my hands the next day. I cannot thank Edwina and the team at Pack and Send highly enough! Fantastic, goods came from international seller in excellent condition. Shipping was timely with no days and the office communicated very well with the goods progress. Would highly recomend.